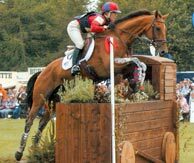 An investigation is taking place into the fatal accident suffered by Desert Island on the cross-country at the Badminton Horse Trials on Saturday. 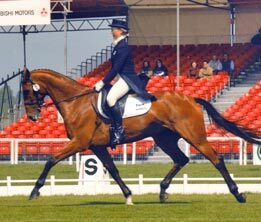 Desert Island, a 17hh 10-year-old mare by Nashua and ridden by Louisa Lockwood, was put down after breaking a leg in a fall at fence 9, the corner at Huntsmans Close. Desert Island, whose paddock name was Sonja, had 255 British Eventing points. Reports indicate the mare landed on a corner, twisted, and broke her fetlock.